360 Community Management believes that continuing education is a vital piece in the HOA management puzzle. We hope that the articles below will help you enjoy HOA living. 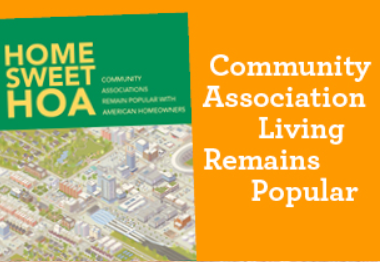 These findings objectively refute the unfounded and unsubstantiated myth that the community association model of governance is failing to serve the best interests of Americans who choose to live in common-interest communities. What exactly does “going green” mean? It can be as simple as considering a few paperless options in our day-to-day operations. 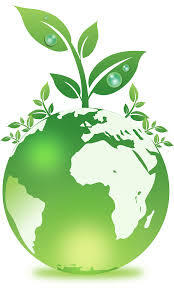 The environment is a hot topic in community associations and their management companies. One of our biggest hurdles is the seemingly endless amount of paper that our industry produces. Managers and management companies are doing their part to reduce the amount of paper they produce. Many management companies have already converted their “paper office” to a “paperless office” through document management systems. These companies store all of their documents electronically, eliminating the need for the rows upon rows of filing cabinets – which take up space and cost the company thousands of dollars annually in square footage expense. And, that can add up to higher management fees to pay for the overhead. Electronic storage is extremely affordable in our current technology-driven economy, but it’s important to have a solid, proven backup system in place in order to safeguard those electronic files. Some management companies backup their systems both locally and out-of-state. The out-of-state backup plan is crucial to any company’s disaster and recovery plan. Given the amount of technology available to us, managers are now wired, or wireless, electronically at all times. Instant communication and response has become the norm in our industry, rather than the exception. Blackberrys, Droids, iPhones and wireless laptops are strapped to the waist, stuffed into a pocket or purse, or slung over the arm of every manager. Some smart phones allow you to read Word, Excel and Power Point documents, edit them, save the file and send it on to the next recipient. Phones are not just phones anymore, but multi-tasking tools in and out of the office! Managers spend an increasing amount of time attached to their smart phone or computer screen. Gone are the days of mailing documents to board members and homeowners; just attach the documents to an email and press send. But, what if all you have is a paper document and you need to get it to your board president quickly? In addition to free smart phone applications like Genius Scan and CamScanner, most copy machines are now multi-function machines that copy, scan, fax and double as a network printer. Today’s copy machines scan documents and then convert them to PDF files, and off they goes to the recipient of your choice. Of course, you could fax the document, but that creates another piece of paper for the recipient. With all the paperless options available to community association managers, we still have a few paper mailings that must be sent to our owners each year as required by the association’s governing documents or state statutes. However, state legislators are beginning to come around each year by adding more and more “electronic-enabled” opportunities to our laws. Email is now the preferred mode of communication. Most of the time it’s easier to draft a quick email, run off to a meeting, and check the response through a smart phone prior to the start of the meeting. But does that mean people will stop talking to each other over the phone or through face-to-face conversations? As easy as email is, there is a certain etiquette that goes along with it. Inflection is not translated through email, and the tone of an email could be taken the wrong way. Also, with the ease of pressing the send button, an email can accidentally be sent to unintended recipients, which can have disastrous ramifications. Email is a wonderful thing, but be careful when using it. Be professional, polite and conscientious in all communication methods, and your message will be received as intended. Never post something in an email message that you don’t want to see on the 6 o’clock news! Now that we have touched on several “paperless” options in our industry, it’s time to think about just how green YOU are. What can you do to help conserve energy, reduce paper, save a forest and GO GREEN for the environment and community associations? It took longer than you expected to sell your home and find the perfect location to downsize, but here you are. Your new home meets all of your goals relating to location, amenities and conveniences. It is so exciting and you waste no time adding a few warming touches. First, you paint the front door Wedgewood blue, which seems to be appropriate in this gardenlike setting. Next you add a new wreath to the door and, finally, your favorite lamp-bearing statues to the front garden. It is impressive how much more welcoming your home now appears. So, imagine your surprise when a most unwelcoming letter arrives just three days later stating that your home is “in violation”! The letter states that the color of your door and the newly-mounted wreath are non-compliant and the garden in which you placed your statues is actually something called common area and must be removed! When you call the number on the letter, the customer service specialist reminds you that you have purchased a home in a community association. A bell goes off as you remember the large notebook you received titled Restrictive Terrace Condominium Association. You locate it among the closing documents and begin reading it and quickly realize that it may have been a mistake not to use the week prior to settlement to review this information. Sound familiar? It happens more often than you know. Purchasing a home in a community association has many benefits , including deed restrictions that govern the community with which every owner should be familiar. It is a lifestyle choice that should be taken seriously when considering this home purchase option. Just a little preparation can ensure that you make a well informed decision. Governing Documents (Articles of Incorporation, Declaration, Bylaws, etc.) These are documents that determine how the association is organized and operated. 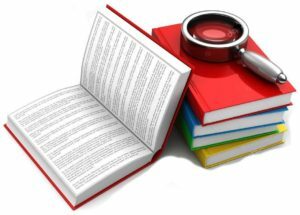 They include helpful information about definitions, governance, budget, preparation, maintenance, and use restrictions. Rules & Regulations and Architectural Guidelines. These are usually more specific than the general provisions in the above-described documents. Assessments. These are fee that must be paid to the association to cover common interest expenses. It is possible that a home belongs to more than one association (master or umbrella association and specific community association), resulting in multiple assessments. Board of Directors. The association has a governing body referred to as the board of directors who are usually volunteers appointed or elected to govern the affairs o the community. Or, it could be composed of developer representatives, or some developer representatives and some homeowners, if the community is still under development. Management Company. Most community associations are managed by a professional management company, the responsibility for which is to manage the day-to-day operations of the association. The manager and management staff can be very beneficial in helping you understand association living. Get Involved. There are many opportunities for you to volunteer and participate in operation of the association. Make it a point to attend board meetings and volunteer when possible. The more productive and cooperative volunteers an association has, the more successful it is. Community association living offers a wonderful lifestyle. Being an informed association member can make it an even more enjoyable and rewarding experience for you. Whether you are a newly elected board member or one who has served for several years, you should come to the table with an open mind and a desire to build consensus. Being a board member means that you are part of a team of volunteers who have decided, for whatever reason, that they want to be a part of the decision-making process for their community. You may offer a special talent or have specific expertise that can benefit the community. Serving on the board may help you gain experience that enhances your career goals or you simply have the time and want to help in any way you can. Maybe you were recruited by a neighbor, committee members or even your management company. What now? The most important reason to serve on the board, in my opinion, is for the betterment of the community for you, your family and your neighbors. Key elements with which board members should familiarize themselves are the association’s governing documents that define the board’s authority. If you have a management company, they should provide you with a Board Member Handbook which will describe your role as a board member, your fiduciary responsibility, specific board responsibilities from decision-making to administrative tasks, and how to conduct board meetings. Other vital information will include professional conduct at meetings, parliamentary procedure, the operating budget, and appropriate insurance coverage, as well as how to avoid personal liability. Armed with the above information, it’s important to come to all meetings prepared. Read the management report in advance of the meetings. If you have questions, ask them prior to the meeting so that your manager can have ample time to find the answers. This will help the meeting time be more effective. There is nothing more frustrating to those attending the meeting than for fellow board members to come unprepared and want to discuss issues at great length. The management report and agenda should provide ample information so that decisions can be made in an effective and timely manner. Both volunteers and staff alike can suffer burn out from meetings that extend beyond two hours. Remember that the board meeting is a business meeting of the association. You are there to conduct the business and should come prepared just as you would at any other business meeting. Board members should recognize they are part of a team and not take a confrontational position with fellow board members or their management company. No one should have to work or conduct business in a hostile environment. Realize at times you will not always agree, but take the position that even disagreement can bring compromise and consensus. Be concise with your opinion and thoughts and then be sure to listen to others. Always be respectful of your fellow board members and staff, as well as the homeowners. The tone of the board can set the tone of the community. So, if you want to have a healthy, vibrant and successful community, you should reflect that image as a board member. It’s also important to understand the role of your management company, if applicable. They serve as your agent, not your employee. They act on behalf of the board and facilitate the decisions of the board. Remember that they are professionals and should be treated as such. It can be detrimental to a board and its community to consistently be at odds with their management company. They are there to offer their best expertise based on their experience, training and education to ensure that the board members do not compromise their fiduciary responsibility. A board should trust and rely on their management company’s vast experience and unlimited resources. If your board has lost trust in the management company, have a frank discussion with the company’s CEO regarding whatever problems exist. Perhaps a different manager can restore your trust, eliminating the need to start all over with a new company. If you recognize that, as a board member, you are part of a team of volunteers, committees, and management experts, you will be rewarded when you use those resources to make decisions that are based on sound business judgment. This, in turn, will inspire others to serve and build a team of future leaders who will want to emulate your leadership. By doing so. you will find serving on the board is not a burdensome chore, but a rewarding experience that you will value.